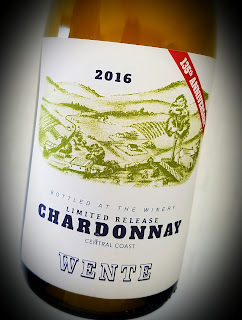 Wente's Celebratory Chardonnay celebrates 135 years of making wine. 2018 marks that accomplishment, and they've come a long way since 1883. It's 100% Central Coast Chardonnay which is sourced from their estate vineyards in the Livermore Valley and the Arroyo Seco AVA in Monterey County. Karl Wente made a thousand cases of the wine, which clocks alcohol at 13.8% and retails for $40. The wine was fermented both in barrels and stainless steel, with the barrel lots receiving malolactic fermentation for a full, rich mouthfeel. It was aged for 16 months in a combination of new and neutral American and French oak. They stirred the lees a couple times a month. 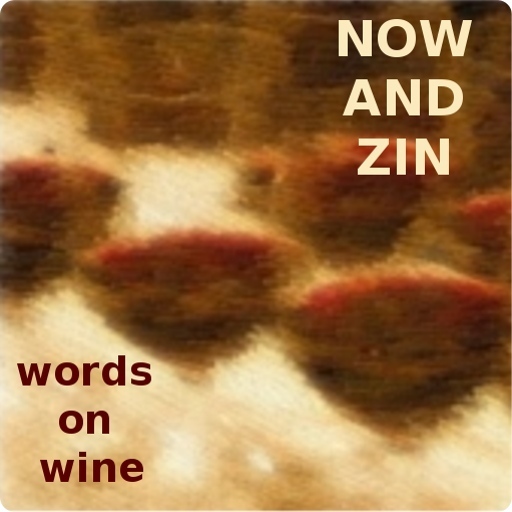 This Chardonnay comes on big and bold, sporting a nose of apples, peaches and oak. The mouthfeel is creamy, but the acidity still zips. Wood dominates the flavor profile, too, but if you're in the mood for it, it hits the spot. Behind the oak lies stone fruit, pineapple and citrus flavors. The finish carries the memory of those barrels quite a distance.